The designer seems to have moved or retired. If I find where she has moved to I will update the link! 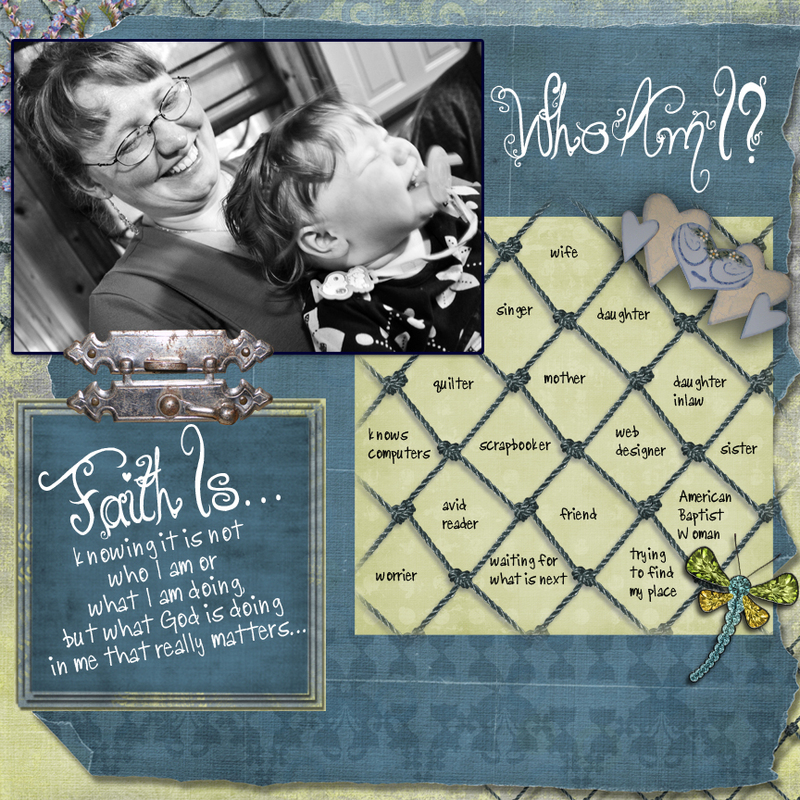 Here is my Who Am I layout for the GoDigitalScrapbooking supreme contest. I had such a hard time deciding what to do with this pretty kit. I have a Faith Is book by Pamela Reeve, that I picked up at our last American Baptist Women’s Ministries Convention in April. I sat down, opened it up and the ideas started flowing. I have 5 more layouts planned from phrases in the book! I am grateful for the chance to enter the contest. And even if I don’t make it to the second round, I think God is trying to help me to remember to trust him every day which I need that kick sometimes. To download the kit yourself go to GoDigitalScrapbooking.com for Carena’s Powder Blue kit. Next Post I made it!